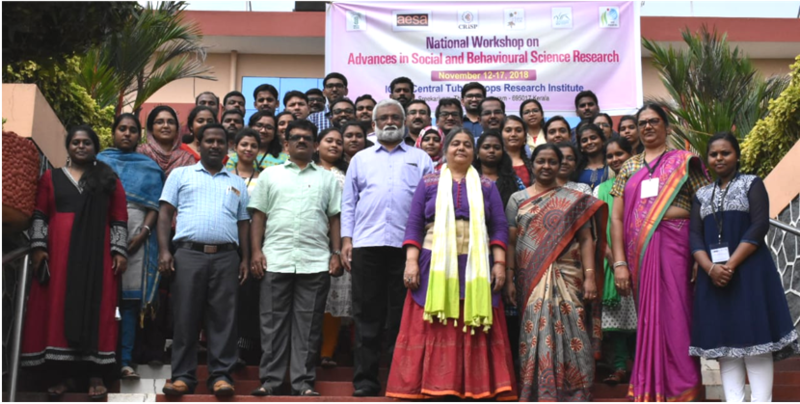 Poornima CP and Suman Dey participated in the National Workshop on Advances in Social and Behavioral Science Research during 12-17 November 2018 at ICAR-CTCRI, Thiruvananthapuram, Kerala. They share their experiences here. Research provides integrity to extension science and ensures its advancement through diverse methodological tools. Technical changes in agriculture and allied sciences directly impact the methodological tools and techniques used in extension research. In this scenario, an advanced research methodology workshop is of paramount importance for scholars, young professionals and practitioners to acquaint themselves with the required methodologies. Keeping this in view, ICAR-Central Tuber Crops Research Institute (ICAR-CTCRI), Thiruvananthapuram, Kerala, in collaboration with National Institute of Agricultural Extension Management (MANAGE), ICAR-National Academy of Agricultural Research Management (ICAR-NAARM), Centre for Research on Innovation and Science Policy (CRISP) and Agricultural Extension in South Asia (AESA) jointly organised a National Workshop on ‘Advances in Social and Behavioral Science Research’ from November 12 to 17, 2018. 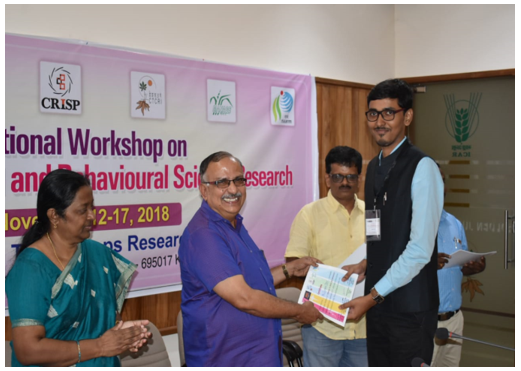 The purpose of the workshop was to empower the faculty/scientists, research scholars/students and development professionals from social and behavioural science disciplines. 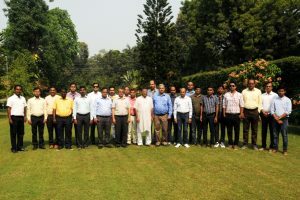 A total of 36 participants – comprising eight practising professionals and several research scholars from seven states – representing diverse domains such as agricultural extension, fisheries extension, agricultural economics, fisheries economics, agribusiness management and rural marketing, participated in the six-day programme. Information on presentations and activities scheduled for the week was sharedthrough social media. The workshop began with a formal inaugural session headed by Dr Archana Mukherjee, Director CTCRI. She spoke on the importance of tuber crops, which are smart crops due to its climate resilient nature that can ensure food security. 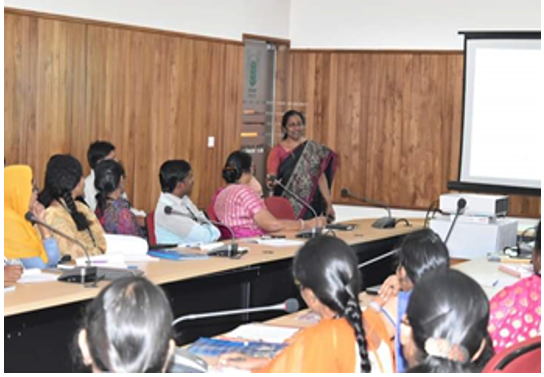 In her presidential address, Dr Sheela Immanuel, Head, Extension & Social Sciences, ICAR-CTCRI, described the objectives and motivation that led to this collaborative workshop. Dr P Sethuraman Sivakumar, Principal Scientist & Programme Director (ICAR-CTCRI), welcomed the participants with a brief note on AESA and its collaborators; and Dr D Jagannathan, Scientist & Programme Coordinator (ICAR-CTCRI), proposed a vote of thanks. In the next session, Dr Sethuraman gave a brief outline of science and social research, and explained in detail the systematic and step-wise procedure for preparing a research proposal for scientific/social research. Later the participants were divided into six groups, with six members in each group. The participants were assigned to prepare group project proposals that wouldbe presentedin due course. The forenoon session started with a small recap of the previous day’s classes on theory, research and construct conceptualisation, followed by a lecture on variables and hypotheses. In this session Dr Sethuraman explained at length about variables, units of theory, its differentiation, and how research could contribute to the theory. The nextclass, also by him, held a review of the literature, covering the role, purpose, and steps in conducting a literature review in research.Furthermore, problem identification and selection were explained with relevant examples. He introduced the participants on how to prepare a literature map and literature review table practically. Finally, he concluded the session by detailing the various formatting styles in literature collection and its review. Following this, the participants worked within their respective groups on research problem identification and formulation of hypothesis as a hands-on exercise. Dr Sheela Immanuel conducted the next session of the day. She gave an informative presentation on best practices in data collection – casing the occurrence of errors, biases and how to minimise them for original data. In this session, various day-to-day examples were quoted to explain how errors and biases creep in which could impair research credibility. 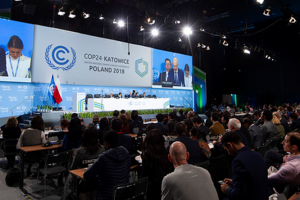 She also briefed on the various types of errors and biases in different data collection methods, such as sampling errors, non-sampling errors, falsification errors, survey errors and many more. Further on, she explained the nuances and tricks which could help in avoiding and controlling such errors. She kept the session lively with her witty and quirky examples, even though the lecture was on a sensitive topic like social and behavioural research. In the late afternoon session, each group presented the research problem identified by it. The groups spoke about how they chose their research problem, formulated the propositions and hypotheses. The session was open for discussions and clarifications from other group members. Based on the discussions, Dr Sethuraman assigned a mentor for each group from among the participants. These persons then put forth some valuable analysis and suggestions based on their experience and expertise for further fine-tuning of the research proposal. The third day of the workshop was a very interesting one. Every group were told to continue with their group exercise. The day started with an exciting session on research designs by Dr Sethuraman that provided clarity on essential to advanced concepts. After a sumptuous breakfast, a very informative session was conducted by Dr Rasheed Sulaiman, Director, CRISP, Hyderabad. He talked about publications in social science research, and various facets of publishing research. He also focussed on various unidentified places where extension scientists can publish their research. Moreover researchers could publish more in the form of blogs or working papers/Good Practice notes in certain niche domains rather than only focusing on high-impact journals. He acquainted the participants on how the review process is carried out, and how the reviewer’s critical comments can help in improving the manuscript, which is crucial for extension professionals, especially if they want to publish quality research papers. Dr Rasheed also made known the many unheralded areas for publication of findings, and asked passionate researchers to focus on those spheres that can benefit their discipline. He also guided the participants on the various mistakes committed by researchers in writing a manuscript, and gave an overview ofthe importance of technical writing and various policy research findings. 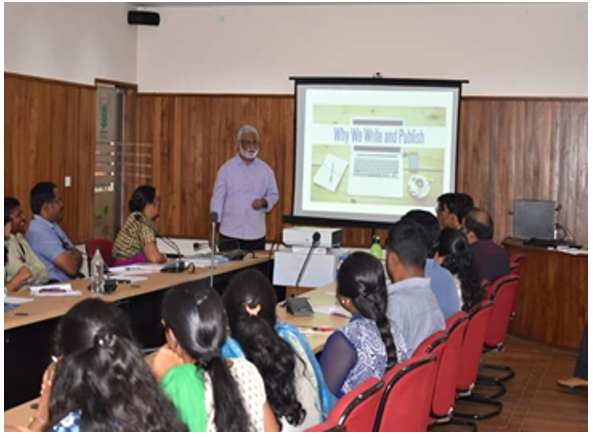 Besides this, he interacted with participants about various changes which are recommended and suggested in the curriculum of the Extension Education discipline; and discussed the developments taking place in undergraduate (UG), postgraduate (PG) and PhD syllabi at various forums involving ICAR. Agricultural Extension needs to be re-christened as Extension and Advisory Services. Courses such asDevelopment Communication and Innovation, Extension Approaches (tools and methods), Development Programme Planning and Value Chain Extension are missing from the UG syllabus.Othercourses such asApplied Behaviour Change, Facilitation for Development, Extension Innovations, Livelihood Development, Risk Management and Climate change, Facilitation for Development are getting introduced at the PG level. Policy Engagement and Extension, Technology Commercialisation and Incubation, Multivariate Statistical Methods (in collaboration with Statistics Departments), and attachment training with research organisations are appearingat the doctoral level. He concluded his lecture with a briefing on functioning, objectives, and work of organisations like CRISP, AESA and GFRAS, and how they are working in tandem for enriching the discipline. The day ended with the lecture of our passionate Programme Director, Dr Sethuraman on various types of experimental research designs and how these can be carried out in social science research. He gave insights on the various qualitative research techniques, such as phenomenological research, grounded theory research, historical research, historical analysis, concept analysis and policy analysis. Finally, there was specific advice on how Focussed Group Discussions should be carried out and what its characteristic features are. With a brief introduction to descriptive statistics, Dr N Sivaramane, Senior Scientist, NAARM, Hyderabad, started the fourth-day. He made a presentation on modelling human decisions in the adoption of agricultural technologies using LOGIT and PROBIT models. He stated that the most prevalent method in adoption studies is the LOGIT model and it is used in identifying the factors influencing adoption. He gave some hands-on exercises on LOGIT and PROBIT modelling. The participants were encouraged to do these exercises using SPSS (Statistical Package for Social Sciences) software. Interpretation of results was also well explained by him. In the afternoon Dr Sivaramane discussed Conjoint Analysis. It is mainly used to determine respondents’ preferences for the attributes that make up a product or service. This commonly used approach combines real-life scenarios and statistical techniques with the modelling of actual market decisions. He spoke further about the statistical analysis of conjoint analysis in SPSS and how to interpret the results which made the session more productive and useful. The fifth day started with a comprehensive presentation from Dr Sethuraman on scale development using Structural Equation Modelling (SEM). His presentation dealt with the concepts of scale development, and effect size estimation; he also presented a hands-on practice session on how to perform SEM using AMOS SPSS software along with an example of computer use behaviour of extension functionaries. The session continued with the topics of exploratory and confirmatory factor analysis. Lectures followed on reliability and validity testing along with hands-on sessions using SPSS software. The contents delivered under the topics of reliability and validity testing were: different types of reliability, interrater reliability, internal consistency of reliability, different types of validity, discrimination index, and so forth. The afternoon session was on the preparation of data sets for various statistical analysis along with a hands-on session using SPSS to perform statistical tests – t-test, paired t-test, crosstabs, and chi-square test. The morning session of the final day of the workshop started with a class on SPSS-AMOS along with the concepts of structural equation modelling and factor analysis by Dr Sethuraman. Dr S Arulraj, former Director, ICAR-IIOP, Pedavegi, Andhra Pradesh, was the chief guest of the valedictory session. Dr Sheela Immanuel, Dr P Sethuraman Sivakumar (Programme Director) and Dr D Jagannathan (Programme Coordinator) were the other dignitaries at the valedictory session. Dr Arulraj gave the concluding address, and he shared his experiences in extension research and counselled the participants to take the lead in empowering this discipline. Then participants were asked to share their experiences as well as feedback about the workshop. Participation certificates were then distributed,and the workshop ended with a vote of thanks by Dr Sethuraman. Instead of mixed sessions, separate sessions on basics and advanced research will be more fruitful and will greatly enhance focussed learning and go on to prevent time constraints. It was impossible to cover all the aspects mentioned in the course outline within the stipulated timeframe of the workshop. More time can be devoted to practice/hands-on sessions as it will make the students/research scholars competent in using the research tools. There is need to replicatesuch workshops in various parts of India, and the trained participants should now act as master trainers/facilitators and conduct them in a better manner. 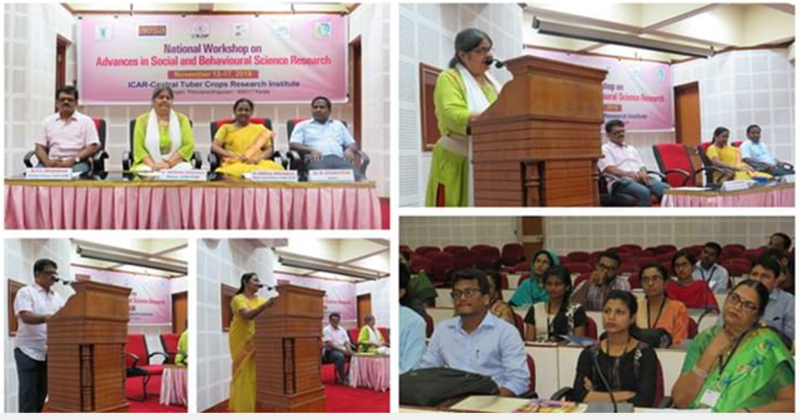 We are very grateful to ICAR, CTCRI, MANAGE, CRISP, AESA and NAARM for taking such an initiative to improve research in the fields of social and behavioural The workshop served as an ideal platform for students and professionals to develop their skills and research ideas. Above all, it offered much encouragement to new aspirants in the field of social science research. 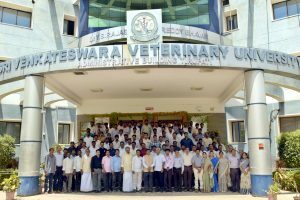 The group of 36 participants from different parts of India comprised of teaching professionals, scientists and students from various sub-disciplines of agricultural and allied social sciences made it a heterogeneous event. The mutual interaction and coordination among the members made the workshop more fruitful and enjoyable. The workshop sessions were very impressive. There was no lagging, and all the classes were conducted systematically. The organisers of the programme took utmost care to implement the classes according to the well-planned schedule. The time constraint in covering the sessions was evident, but coverage of the topics was excellent all the same. Each session of the workshop focused on the advanced methods and tools that can be of great use in collecting, analysing and interpreting the data in qualitative as well as quantitative research. Classes were further enhanced by citing relevant examples that made the sessions more useful and interactive. Doubts were cleared at the end of each topic, and students were given an opportunity to discuss their queries with the experts. Practical sessions were strengthened by dividing the whole group into units of six members from different backgrounds for close discussions. These group discussions were a productive tool where the participants could put the contents of the classes into practice by applying the ideas gained there. All participants were actively involved in group At the end of the workshop, each group was able to come up with a research proposal in a systematic manner which can now be taken up for field-level study. 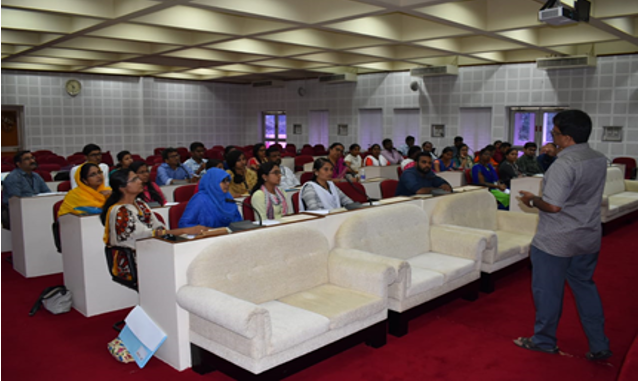 The sessions conducted by guest experts (Dr Rasheed Sulaiman V and Dr Sivaramane N) were very informative and motivated the learners to explore more ways to take up research, and opened up new avenues in the field of social sciences for research scholars. The six-day workshop was an eye-opener and a source of abundant and voluminous knowledge – especially for the extension research scholars. 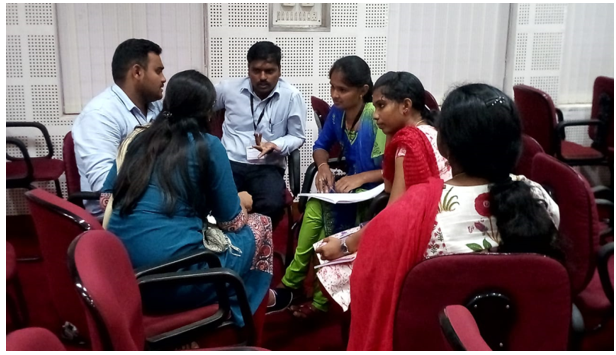 The six-day training programme helped the participants to be better preparedwith advanced research methods skills in behavioural and social sciences, which in turn will help them in doing quality research. This workshop provided a common forum for the participants to interact with their peers, counterparts, and seniors and exchange their research experiences. The workshop was very rewarding and could largely meet the expectations of the participants, and helped them in gaining insights into various research methods and tools in their respective work areas.